The life of an expat always involves a lot of ‘hello’ and ‘good-bye’. People are always moving here and moving away. You meet so many new friends. Sometimes you have a momentary pang of sadness when someone moves but sometimes, as my family is currently experiencing, close friends moving away leaves a gaping hole in your life and you really have to work out how to keep your happy face on when you are really, really missing someone. But you have to take the good with the bad. And sometimes, it is YOU who is coming or going! And in those cases, you often want to have a memento of the city you will call or called home. 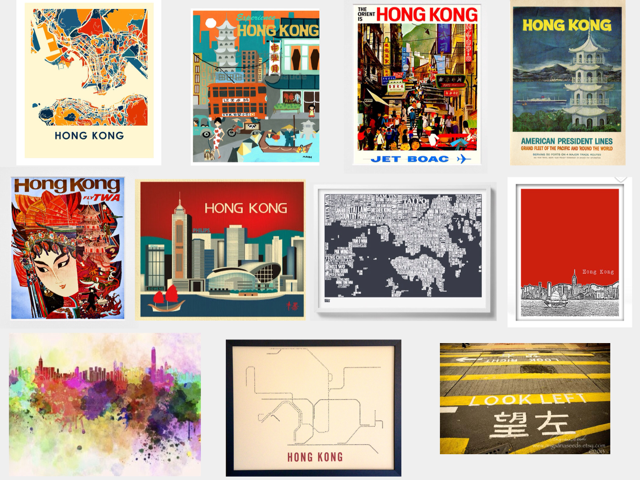 I thought it might be helpful if I did a round-up of Hong Kong themed artwork. Not every piece is one that I would personally hang on my wall (although I do have a few favourites), but I tried to get a range of styles and colour palettes so that if your style differs a bit from mine there should be one or two options to suit. Some would suit plain white walls, and some would look better on a coloured wall. All of this art work is sourced from Etsy and I have listed the Etsy stores below the pics. 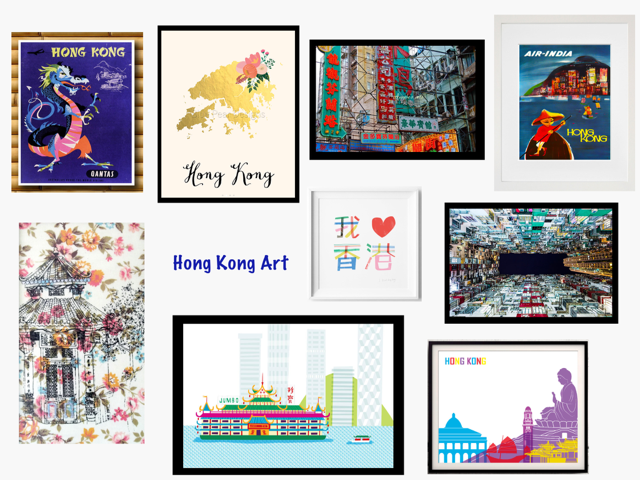 This is by no means an exhaustive list of the HK art work on Etsy so if you would like to look for your own, search terms such as “Hong Kong skyline”, “Hong Kong typographic print”, etc will help you find other options. Go grab yourself a HK memory! oh, I wish I could be there too! Thank you very much for including our pictures on his blog, it is a pleasure to be part of his art gallery.